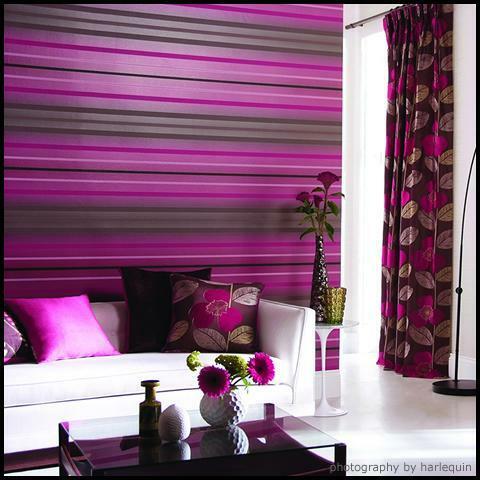 Colors play an important role in making up one’s mood and attitude. A house reflects one’s life-style and social status. 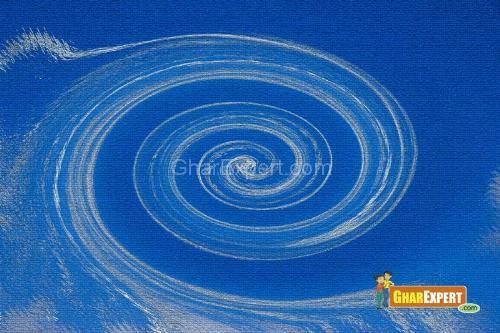 Wall painting designs are inexpensive options to creatively decorate your room. There are a lot of wall painting designs available in the market. which can help give your room an entirely different and modern look. Our article contains some of the wall painting designs that will help you in decorating the walls as well as the room in a stylish way. Interior as well as exterior of the house can’t make up a statement without talking about color schemes. Paint is therefore an essential facet of wall decor. Because numerous companies are coming up with millions of shades and products, it is significant how a layman approaches towards coloring his own home. Wall painting design is a difficult task. However one can go with the following schemes. If one is using metal as main stream interior element, warm colors such as orange, pink, yellow give room rich look, but preferably used for bigger rooms because warm colors make room look smaller. Hues- blue, green, violet bring a restful stream to the room and make it look bigger. One can go for neutral whites and creams for creating a sophisticated formal environment. Function of a room also matters in deciding color schemes; go for pastels in children’s room, bright and dark in one’s bedroom as per individual choice, neutrals for common areas like living room are preferred. One should go for lighter colors and reflected surfaces for darker rooms and vice-versa. 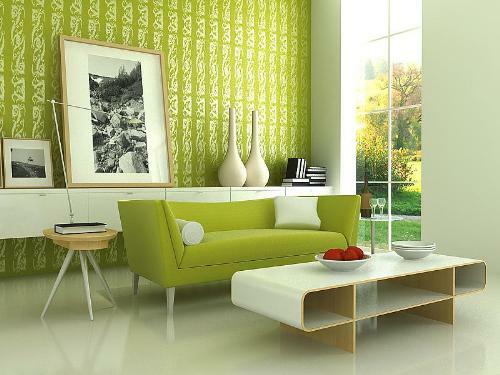 One should go for colors in a relation to each other in different rooms i.e. following a pattern or a scheme for whole house. 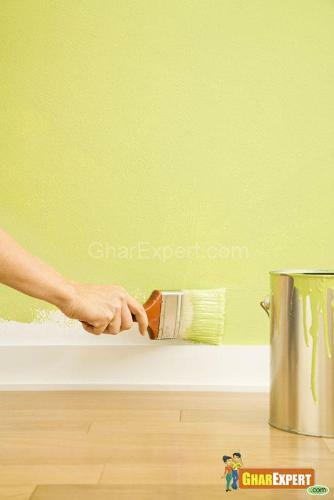 These paints for wall dry quickly and are washable, stain resistant and durable. They give smoother finish. These are available in dry and oil-bound varieties. Hence these are more popular for lower budget schemes. These are available in different finishes. They took longer time to dry and are costlier than other products. These are also in today’s trend breaking the monotony of the flat wall and make the wall itself a feature element of the space but are recommended in dust free space as texture paints trapped dust easily. These are suitably the best for metal, giving them tough, durable and glossy finish. This finish is preferred on wooden surfaces to safeguard them from scratches and stains. Transparent or opaque paints can be used to enhance natural look of the wood. These are used at first on the surface to ensure resistance from corrosion and also get soaked by the surface to reduce the costlier paint’s consumption. One should use primer coating on wood, metal and concrete surfaces. This is a transparent variety to resist the surface from water, dust, algae, fungi and fade caused due to high temperature. It acts as a shield to the surface. Silicon based paints are durable for longer period. This paint can give better design options with protection against algae and fungi, if emulsion based. These paints give smoother finish and gather lesser dust as compared to textured paints. The consumption is also lesser, thus it is cost effective. Follow the steps while painting. Sanding and cleaning of the surface in order to get smoother and long lasting paint finish. At first apply one coat of primer to ensure resistance from corrosion and also get soaked by the surface to reduce the costlier paint’s consumption. One should use primer coating on wood, metal and concrete surfaces. Now Putty is to be applied to have smoother finish and to fill the gaps in order to attain an even surface. Then again one coat of primer should be coated to avoid patchiness on finished surface. Apply minimum two and maximum three coats of paint to have better results. Allow the surface to be dried off completely before painting so as to avoid the air gaps which can cause blistering of the paint film. Apply at least standard three coats of finish to have smoother surface. 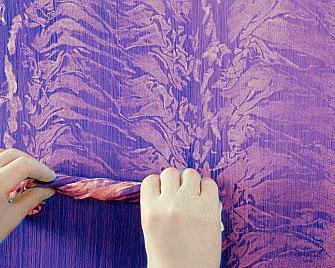 Check the viscosity of the paint and avoid greater amount of putty to resist gaps and cracks in paint layer. 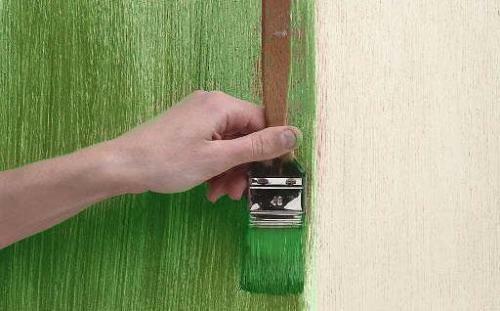 Use good quality paint brushes to avoid visible brush strokes. Cover the putty with even layer of primer to avoid uneven application of primer causing flaking. Follow the steps of painting a surface properly. Because improper sanding of the surface glossiness of the paint can be lost with the passage of time. Avoid water to clean the wooden surfaces. Use minimal pressure on distemper surfaces so that they wouldn’t come out while cleaning. 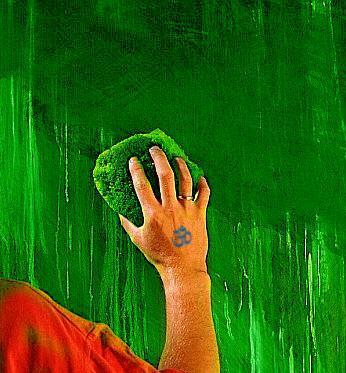 Clean and re-paint the wall surface to avoid blooming i.e. appearance of white powder like material on surface of the wall, in dry weather. Go for fungicide solutions also and then re-paint the wall surface.